December seems like a good month to reflect on behalf of ASPHO and to look forward since there are several items that will require continued attention in 2019, some of which are highlighted below. ASPHO organizationally has much to be proud of. In 2018, we welcomed the formation of the 11th special interest group; we represented almost 2,000 members — probably > 50% of the practicing pediatric hematology/oncology physicians in the United States; we made strategic investment decisions, given ASPHO’s financial good health; and we initiated an early redesign to the ASPHO board review course educational offerings, in line with an emerging education strategy and financial stewardship. In 2019, at our Conference in New Orleans, we will welcome on stage colleagues whose careers and achievements will be deservedly celebrated in the Distinguished Career, Oski, and George Buchanan awards to name a few; we anticipate the success of the Review Course early in 2019, and we will continue to work with ASCO’s Metric Development and ASH’s Choosing Wisely groups among other external liaison activities. Just six months ago, in my first message to you, I described the importance of the Diversity Advisory Group and the challenge to ASPHO to be nimble, effective, and proactive as we consider pathways within workforce dynamics and, considering the ever expanding breadth of required expertise, how we deliver educational content to match this. I continue to see these as critical descriptors for outcome in 2019, and I hope you find time to personally let me know where we meet and equally importantly do not meet your needs as an organization. You also might be interested to hear briefly about Board of Trustee strengths! Board members embarked on a development program this November, wherein we each completed a Gallup StrengthsFinder exercise. This tool categorizes strengths into executing, influencing, strategic thinking, and relationship building themes. The purpose of this exercise was to help the Board of Trustees identify synergistic strengths and talents with which we represent and serve you, our members and colleagues. Importantly to me, strengths in all categories were identifiable across our group. I encourage you to ask any trustee about the value of this exercise when we meet in New Orleans, and I will incorporate the lessons we learned into ASPHO’s decisions and work. Good luck to fellow applicants and fellowship leaders in the upcoming Match on December 12, and happy holiday season to all. Registration is open for the 2019 ASPHO Review Course being held January 31-February 2, 2019, at the Omni Mandalay Hotel in Irving, TX. Offered every 2 years, the live course offers access to expert faculty, lectures that follow the new ABP content outline, a comprehensive electronic syllabus, practice questions in PDF format, and morphology slides in print format. Attendees receive special savings opportunities on supplemental items. Register and make your preorder purchases before January 7 to take advantage of early bird rates! Learn more. As many of you may know, Choosing Wisely is an initiative of the American Board of Internal Medicine Foundation that seeks to advance a national dialogue on avoiding unnecessary medical tests, treatments, and procedures. ASPHO will be working in collaboration with the American Society of Hematology (ASH) to develop a Choosing Wisely list with a pediatric hematology focus. This allows ASPHO to meet the external relations goal of its Strategic Plan and provide content expertise to this important endeavor. The collaborative panel will consist of six members from each organization, with one member of each group serving as co-chair for the panel. In the near future, the panel will be soliciting a focused group of ASPHO membership for questions to address and further investigate, and would greatly appreciate your input at that time. The panel will narrow down the list of suggestions, and a systematic evidence review will be completed. Based on the evidence, the panel will work to finalize a list of five items to present to the boards of each organization for approval. We will continue to update members on the progress of the Choosing Wisely panel via future newsletters. Don't miss the first of our free webinar series! Many new monogenetic immune defects are marked by autoimmunity, lymphoproliferation, and hyperinflammation rather than infectious complications. Hematology/oncology physicians might be among the first to evaluate these patients. Practicing pediatric hematology/oncology physicians and trainees must have a greater foundation of knowledge regarding the laboratory evaluation of these unique and often complex patients. This webinar focuses on the best practices in laboratory evaluation of these immunological disorders, which is vital to ensure timely diagnosis and treatment for these patients and their families. ASPHO’s Board of Trustees and Awards Committee are pleased to announce three leaders who will be honored during the 2019 ASPHO Conference in New Orleans in May. To honor these leaders in the field as they receive their awards, be sure to attend the 2019 ASPHO Conference May 1-4, 2019 in New Orleans, LA. Registration will open this month. The excitement is building for next week’s official Match Day! We would like to thank all of the pediatric hematology oncology fellowship (PHO) program directors, associate program directors, coordinators and faculty for their continued hard work and dedication towards preparing fellows for the profession. As most of you may know, this is the first year that PHO fellowship programs are participating in the Pediatric Specialties Fall match. The match process involves extensive work and planning, and we wish the fellowship programs success with next week’s Match Day on December 12th. With Match Day upon us, this is a great time to remind Program Directors, and membership in general, of the resources available through ASPHO for trainees and other early career members. The Mentoring Program is currently available to early career members and offers guidance and networking opportunities for those early in their journey. The program also gives experienced members in the field a chance to serve as a mentor, sharing their experiences and thoughts with early career members, helping to guide the future of the profession. For more information and/or to enroll in the Mentoring Program as mentee or mentor, please visit the mentoring overview page of the career development section on our website. The early career roundtable luncheon and speed mentoring programs at the ASPHO conference are also great ways for early career professionals to network and receive guidance from experienced mentors. Members of all career stages can benefit from multiple resources on ASPHO.org. Participation on the online Member Community Clinical Forum can help answer questions and guide you with input for your clinical challenges, as well as allow you to apply your expertise to assist others with their questions. Joining the various online member communities and Special Interest Groups (SIGs) can assist in building your professional network, and be involved in discussion of topics/areas of particular interest to you. These are just a few of the resources available to assist with professional growth, regardless of your career stage. Early this fall, the committee submitted comments, on behalf of the organization, to the Accreditation Council for Graduate Medical Education (ACGME) regarding proposed revisions to the Pediatric Hematology/Oncology subspecialty Program Requirements. The comments included support of combining the current two program requirement documents into one comprehensive and integrated document, as well as support of the continued promotion of supervisory continuity during fellowship training, and emphasis on the importance of training fellows to function as an interdisciplinary team. The committee suggested clarity from ACGME in the requirements relating to the necessity of having a pain management professional available within the fellowship program, as many institutions may not have a dedicated professional readily available. The committee questioned whether it would be adequate to deem a PHO faculty member with experience in pain management, the pain management professional. The subject of workforce, related to trainees and fellowship training in general, has also been a recent topic of discussion for the committee. Members were recently informed of the Council of Pediatric Subspecialties’ (CoPS) current workforce action teams, including those on fellowship training length and improving visibility of pediatric subspecialties. The committee will continue to have discussions on workforce, from a training perspective, and solicit feedback from fellowship program directors and membership in general, to promote communication and direct the future focus of the committee. Our committee liaisons have also been busy representing PHO in external organization meetings. Dr. Amit Soni, liaison to ASH’s Committee on Training (CoT), attended the CoT’s meeting in mid-October, on behalf of ASPHO. Our liaison to CoPS, Dr. Scott Borinstein, participated in the CoPS fall meeting in late October representing ASPHO and the PHO subspecialty. The committee has taken on updating the PHO subspecialty description page on the CoPS website. All pediatric subspecialties are represented on the website, via an individual webpage. The content is geared towards medical students and residents as they make decisions about their future paths, presenting an overview of our subspecialty including career opportunities, pathway to becoming a Pediatric Hematologist/Oncologist, as well the application process for PHO fellowship training. This update process will allow for us to present a more current picture of our subspecialty. As pediatric hematologists and oncologists, it is important to recognize that the patients we treat represent only a fraction of those that suffer from these devastating conditions living across the world. The ASPHO Global Pediatric Hematology/Oncology Special Interest Group was developed to connect like-minded pediatric hematology/oncology providers with the overall mission to improve the diagnosis, care, and outcomes for children with hematologic and oncologic disease across the world through the development of training partnerships and collaborative research. The Global PHO SIG organizes sessions at the ASPHO Conference and has a dedicated collaborative space within the ASPHO Member Community. We have evolved with time and are always looking for new, interested pediatric hematologists and oncologists (particularly trainees) with interest in global health. Areas of interest have included educational efforts, twinning, and encouraging networking between people doing work in limited-resource settings. 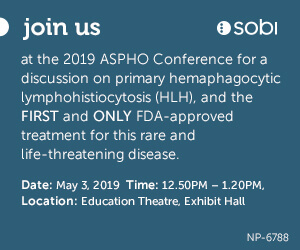 We will host another exciting session at the 2019 ASPHO Conference in New Orleans, and we encourage you to join the SIG and attend this meeting. We are also always looking for energetic and globally-minded ASPHO members to become leaders and active participants of this SIG. We are excited to announce the formation of the Quality Improvement and Patient Safety (QIPS) SIG! The goal of this community is to support and educate members of ASPHO who want help on an existing project as well as support and encourage those who want to integrate QI into their career. We hope to promote collaborations across institutions to improve the quality of care for our patient populations. We want to connect people who are doing great work and learn from each other how to overcome struggles in implementing new standards of care in individual practices. The SIG is led by Chair Meghan Drayton Jackson, DO, and Vice-Chair Christine Smith, MD. We look forward to meeting everyone in New Orleans at the ASPHO Conference this spring and collaborating with other ASPHO committees and interest groups to help ASPHO members be successful in implementing QI initiatives. We are busy planning a session including the state of QI in pediatric hematology/oncology, a moderated panel discussion, and an opportunity to hear how the SIG can best serve the members of ASPHO. Please join the QIPS SIG online community so we can keep you updated as we begin this new endeavor! Join the SIG. A key part of representing the pediatric hematology/oncology profession is to understand our membership. Accurate data allows ASPHO to work smarter and better for you, our members, so you get the most relevant information for your needs. Please take 5 minutes to log in to your ASPHO account and update your professional and personal profile. Thank you for participating and empowering ASPHO to better serve you and the profession with this vital information. Did you know that ASPHO is on Twitter and Facebook? Join the conversation about developments and practice in pediatric hematology/oncology. Follow us at @ASPHO_hq and Facebook. A five year old boy with a history of relapsed Ph+ pre-B ALL, now in CR2 and awaiting allogeneic stem cell transplant, presented to clinic with a three week history of left submandibular jaw swelling. Not only is New Orleans the destination for #ASPHO2019, it is also home to the famous New Orleans Jazz & Heritage Festival. Because Jazz Fest, ending May 5, overlaps with the ASPHO Conference, we suggest you make your arrangements early to ensure convenient travel. What an exciting time to be in NOLA! Be sure to come early, or stay after conference to attend the festival. Mark your calendar for May 1 - 4, 2019, and reserve your hotel room. The ASPHO Conference Planning Committee invites the submission of abstracts for papers and posters to be presented at the 2019 ASPHO Conference on May 1-4 in New Orleans, LA. The deadline to submit is January 8, 2019 at 3 pm CT. Learn more. The Young Investigator and Early Career Stipend Awards applications are now being accepted. Applications for the Young Investigator Awards are now open. Those who submit an abstract and meet the eligibility requirements may submit an application for one of two ASPHO Young Investigator Awards. The Young Investigator Award was established in 1989 to formally recognize excellence in clinical and basic science research in pediatric hematology/oncology. These awards will be presented at the 2019 ASPHO Conference. The deadline to apply is January 8, 2019. Fellows and recent fellows who submit an abstract to present at the 2019 ASPHO Conference can also apply for an Early Career Travel Stipend. The Early Career Travel Award Stipend Award was created to provide funding for deserving young investigators to attend the ASPHO Conference to present their work and be introduced to the many benefits of ASPHO's education and networking programs. This award is based on evaluation of abstracts submitted for the conference. Five awards will be presented at the 2019 conference. The deadline to apply is January 8, 2019. Purchase the online conference recording for everyday access to the education from the 2018 ASPHO Conference in Pittsburgh. This valuable resource compiles 49 hours of synchronized audio recordings and slides from 26 educational sessions, seven platform sessions, and five presentations by award recipients into one place you can easily access anytime.